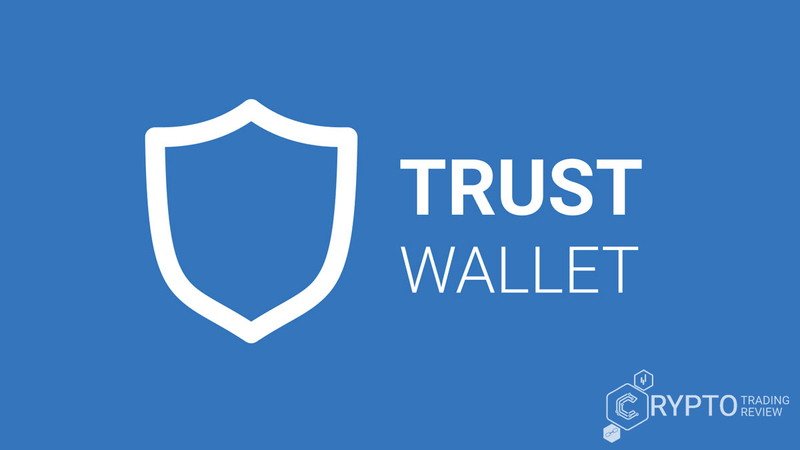 ﻿ Trust Wallet review | Is this the perfect wallet for you? We could start our Trust Wallet review off with something like This is very easy to use and understand, with both an intuitive user interface and a whole lot of useful features designed with the user in mind. But this doesn’t tell you much, does it? In fact, it seems that a lot of the analyses of this product an interested party can come across online sound very much alike. What is even worse, they don’t give enough concrete information, even if they are not paid ads. But don’t worry, we will save you the trouble of figuring out which texts and comments are useful and which can be discarded as irrelevant. We will do that by giving you all the information you need to get started and by answering all of your questions, of course. We will start with the ‘why’, i.e. with one of the reasons for creating this type of product in the first place. Ethereum has the second biggest market cap in the crypto world and keeps drawing more and more investor attention. Because of this, its use has skyrocketed, and a need for a secure wallet has appeared. 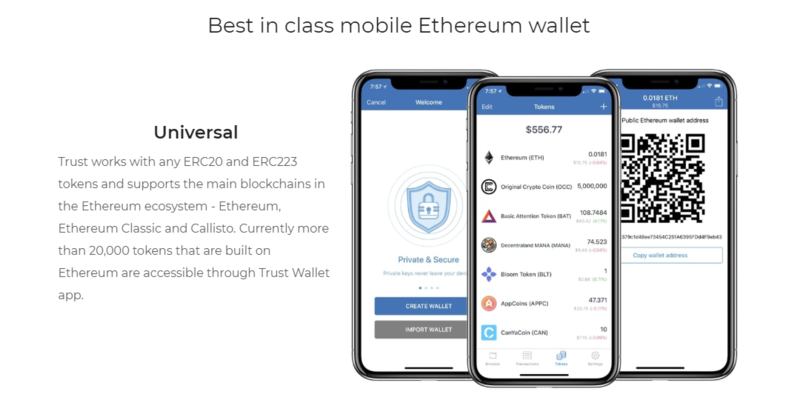 For those of you who are in this group, as well as those who are new to this issue, we have prepared a detailed review on one of the most used Ethereum wallets – Trust Wallet. So, why should you care? In order to compete with the design and usability of its competitors, Trust Wallet is designed with ease of use in mind, so its interface is simple and clean. The wallet is designed specifically for Android and iOS devices (iPod Touch, iPhone and iPad) and makes buying and storing Ethereum and ERC20 tokens extremely easy. You can import your existing wallet and move your coins to this cryptocurrency wallet instantly and effortlessly. It supports almost every blockchain in the Ethereum group, including Ethereum Classic and Callisto. The wallet works with any ERC223 and ERC20 token, plus you can access more than 20,000 Ethereum-based tokens through Trust Wallet app. In this review, we will focus on Trust Wallet’s app, especially it’s security, and explain some of the services integrated with the app – but first we want to tell you a short story. At one point in time, the entire Ethereum market was being taken over by something called ERC20 tokens. We will cover those a bit later, but they were the starting point in creating this piece of software – the creators (the company’s founder is called Viktor Radchenko) wanted a wallet and a tool that could work with ERC20 tokens comfortably. 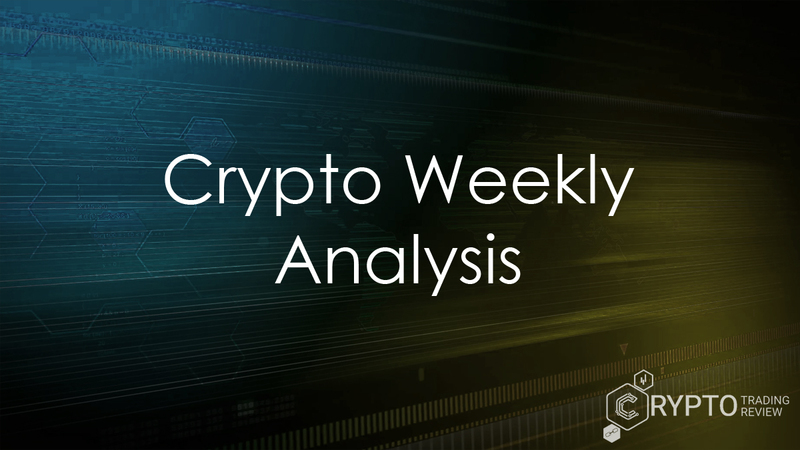 The process of adding these tokens manually is very difficult, and the product’s ability to automatically detect them generated a few thousand users in a matter of weeks. Now, the thing that makes the Trust Wallet app both stable and light is the fact that it is entirely written in native code – Java for Android and Swift for iOS. At the time, this was unlike anything on the market. The next step was allowing users to use the tokens, which is usually done through decentralized applications or DApps, so another native solution that would connect the wallet with those was created. We will discuss that in the next part of our Trust Wallet review, so read on. Available for both iOS and Android, the application is the property of a company called Six Days LLC (US office) and is available in ten languages besides English (Arabic, Japanese, Russian, Traditional Chinese, Simplified Chinese, Spanish, French, German, Italian and Vietnamese). Regarding software requirements, the iOS version works with devices running on iOS 10.0 or a later version, and regarding hardware, it is compatible with iPhone, iPad and iPod touch. The app stores your Ethereum tokens securely, as well as all tokens under the already mentioned ERC20 and ERC223 standards. Since there are thousands of those available, you can store a LOT of different tokens in your Trust Wallet. In addition, the company offers a Web3 browser that allows for easy access to decentralized apps from your device. The wallet simultaneously emphasizes both security and an open source database. The latter allows for extra code auditing, but also the fact that the app is, at least for the moment, free for download. The app includes several key features, such as real-time portfolio valuation and push notifications to notify you of transactions happening at your address. One of the company’s partners is Open Sea, and Trust Wallet recently integrated their API, in order for their users to be able to enjoy native support. Besides Open Sea, their partners include Kyber Network, Changelly, CanYa and POA Network. Additionally, the wallet provides users with a unified wallet address for managing tokens, including Ether(eum). More specifically, this means that you can use the same address you use for sending and receiving Ethereum for participation in ICOs or airdrops. In case you’re not familiar with the latter, an airdrop is basically a way for a company to increase awareness of their product by distributing their tokens. It can be free, in which case users are awarded tokens just for being a part of the company’s network, and it can come as an award, mostly for user actions such as tweeting or posting on Facebook (basically, spreading the word on the product or service by sharing information). Here comes the part where Trust Wallet comes in – due to the fact that exchanges are not capable of working with tokens, you need a dedicated wallet specifically designed for ERC20 and ERC223 tokens. Let us pause here for a moment. Since Trust Wallet airdrops are one its main advantages, we will go over the tokens in more detail before diving into the browser, fees, and so on. The Ethereum world holds two types of native assets. If you are already familiar with the difference between Ethereum coins and tokens, feel free to skim this part of our Trust Wallet review. However, we urge you not to skip it entirely, since we will talk about the advantages of using this product with regards to both coins and tokens. So, as you probably know, Ethereum is not just a network that you use as a system for digital currencies, but also a platform – this means other applications can be built on it. The main difference between a coin and a token is whether it is used in the network or an application. In essence, Ether (a coin) is used within the Ethereum network, and an Ethereum-based token is used with the application. Now, in order to get a better understanding as to why you would need a wallet such as Trust, we need to go over the basics of an ERC20 token, or to be precise, the ERC20 set of standards for applications that are built on the Ethereum network. In order to acquire tokens, you will need to exchange coins such as Ether (ETH), Bitcoin (BTC) or Ripple (XMR), because they can’t be bough directly with fiat currency. When you have your coins, you can go about a few different ways to get to tokens, such as though a cryptocurrency exchange. Like in the old days (and ‘old money’), the safest way to ensure you don’t lose your money is to withdraw it and transfer the amount to a secure location. To continue with the real-world analogies, this would be a (digital currency) wallet. Wallets allow you complete control over your coin and token portfolio by creating their digital representation, with special security features added to the mix. They differ in terms of security and anonymity levels, as well as available features; and while you do have to decide for yourself which option suits your personal needs best, an online wallet such as Trust could very well be it. The wallet is designed to help you store your keys online, similar to a personal cloud, and unlike cryptocurrency exchanges, where your keys are stored with other people’s keys. 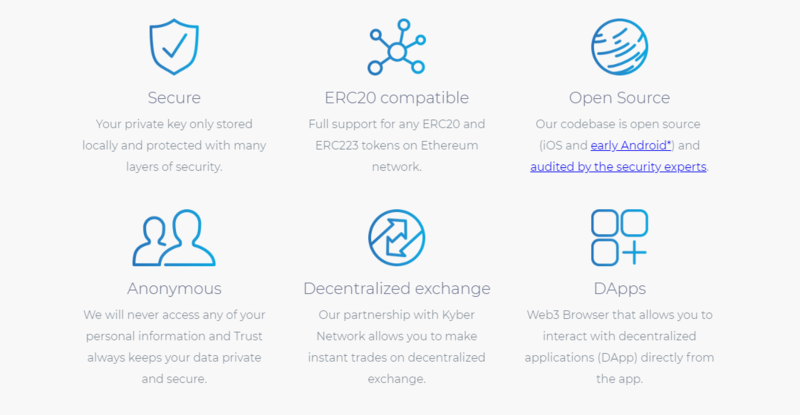 What you need to know from all of this is that Trust Wallet supports the ERC20 standard, which in turn allows the wallet to store your Ether and tokens. 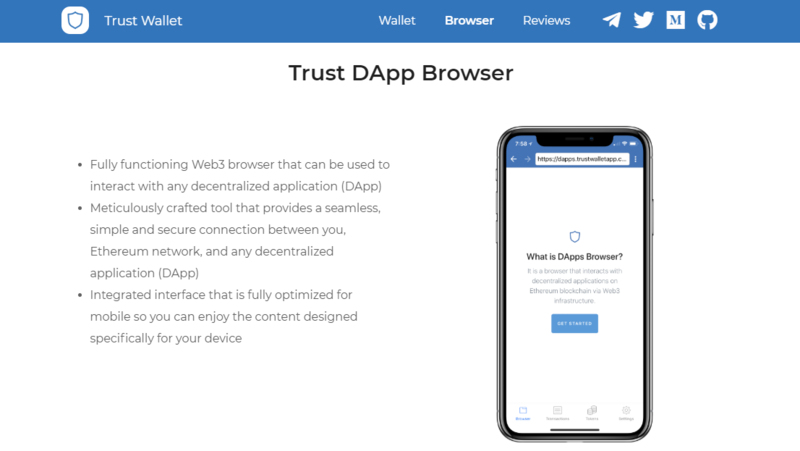 Earlier this year, Trust introduced its DApp Browser, which allows the user to interact with decentralized applications directly from their device, in a safe and secure way. Why didn’t they just use existing solutions, such as MetaMask? Besides being significantly slower, MetaMask was limited to web users, so the team behind Trust Wallet decided to use their best bet again and build a fast and completely native solution. They came up with a fully functional Web3 browser able to interact with any decentralized application, with a mobile-optimized integrated interface. However, since each decentralized application is unique, it has to go through a vetting process, as well as be optimized for the Trust Wallet app. After this is done, the application becomes a part of the Marketplace, a place where every developer can list their own DApp for everyone to use and evaluate. This is an open-source repository, and the list is constantly expanding. The team tests and optimizes listed application in order to make sure they work on Trust Browser on both Android and iOS mobile devices. But do you have to pay anything for that? The next part of our Trust Wallet review will give an answer to that. So, the app is free, but what about the service? Regarding Trust Wallet fees, we have more good news – although the company reserves the right to change this in the future, Trust Wallet does not charge any fees for any of its services at the moment. So, instead of the service fees, we will discuss some of the services themselves. As we already mentioned, Trust Wallet fully supports any tokens on the Ethereum network that complies with ERC20 and ERC223 standards. Some of the popular ERC20 tokens included and supported are Augur, EOS, OmiseGO, Qtum, Bat, TenXPay, and Kyber Network. When trading tokens here, you have several options. You can send your tokens to an exchange, or use services such as ShapeShift, which exchange Ethereum and tokens directly. However, the easiest way is through the Dapp Browser, which allows you to work with your tokens straight from your wallet. If you have any further questions regarding all of the above, have come across any issues with the Trust Wallet app or simply wish to give feedback, you can contact their community either through the app itself, or send them an e-mail. We have so far covered all the basic information a potential user needs to understand the pros and cons of this type of online cryptocurrency wallet in this Trust Wallet review. However, its main advantage still needs to be addressed. It is the security that makes its users call it the next best thing after using a hardware wallet. The name of the wallet should already hint at the creators’ wish to put user security and anonymity first. One example of their wish in practice is the fact that Trust Wallet’s system has been audited last year by a leading security firm in order to ensure complete data integrity, and their complete review is available online, on the wallet’s webpage. 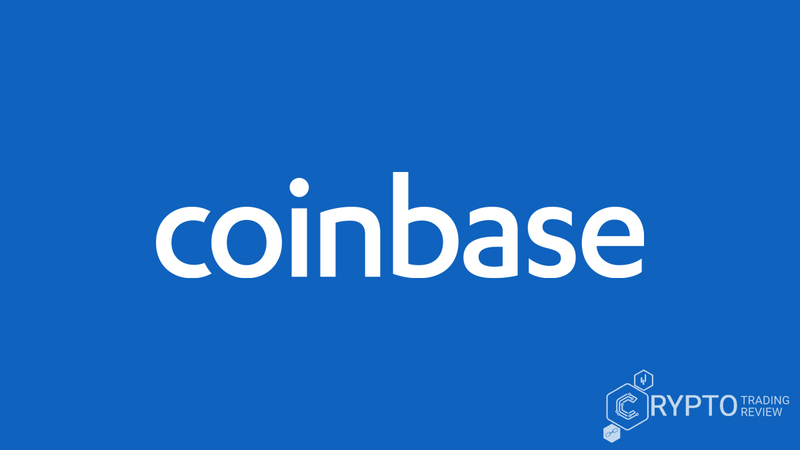 More specifically, a company named Stateful performed an in-depth review of both iOS and Android Trust Wallet applications, including codebase and architecture, as well as app testing. The company behind this whole project, Six Days LLC, implemented some of the recommendations regarding private key encryption at rest and in transit, secret key generation as well as derivation, and private key backup and recovery. The wallet has a server-free environment, meaning every app is installed locally (thanks to the native coding), and this infrastructure allows for your keys to be stored locally as well. The code is open-source, continually audited by the community as well as officially, by specialized companies. It features a decentralized exchange provided by their partner, Kyber Network, within its network, so users can make instant trades. You can further personalize your Trust Wallet by adding different biometric marker systems for authentication, including fingerprint scanning or a simple PIN. You can add an extra security layer by enabling this requirement even when your mobile device is unlocked. You also get use the ‘watch function’ here, which allows you to view your funds without exposing the private key by keeping the mode view-only. In essence, you monitor your digital assets while keeping your private keys secure. Trust Wallet is a client on the Ethereum network that stores your keys locally and allows for various ways of securing access to your private address. Compared to its competition, it has a superior protection against phishing attacks – in order to steal your information and access your funds, someone would have to steal your device and break both your phone password and Trust app passwords. The open source codebase is continually audited by a community of security experts, and they allow for the wallets to be recovered quite easily, through a backup that can be stored either digitally or on paper. The company never accesses its users’ wallets or ask for any personal information. 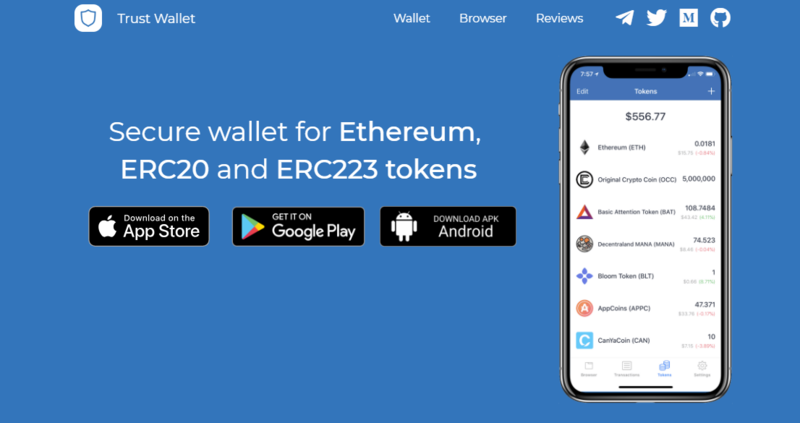 Congratulations, you’ve reached the end of our Trust Wallet review and now know all about the secure, easy to use mobile wallet for Ethereum that supports all ERC20 and ERC223 tokens. Some of the company’s further plans for development include implementation of a decentralized cryptocurrency exchange, publication of Trust SDK, creating a marketplace for ICOs and building a platform for decentralized mobile apps, so why are you still waiting? Besides offering pretty intuitive interfaces, this product allows you to store private keys on your device, which probably makes it almost as safe as a hardware wallet, due to its bank-level security. All web interactions are protected by encryptions which we can safely describe as military-grade level. Both FaceID and TouchID are available for protection if you are not a fan of classic passwords. Sending and requesting Ethereum (ETH) and storing and tracking ERC20 tokens has never been easier. In short, Trust Wallet is perfect for you if you need an online mobile wallet app for Ethereum, with a DApp browser built in and automated token contract detection. Download Trust Wallet easily either from Apple Store or Google Play and you will have the most secure way to store everything related to the Ethereum platform!